Are you a first-time mover who wonders how to organize his/her relocation? Probably you’ve already decided to take advantage of professional removal services but before calling moving company you have to make up your mind what exactly you need. But how can you do that if you are not clear about what services movers provide? This article will help you find out what options you have and you’ll be able to choose easier. That goes without saying but it should be included in this list because it’s the main service of moving companies. It’s clear that if you need some help about transportation of your heavy and not so heavy stuff, movers are these who will give you a hand. But let’s pay more attention to some not so popular services that home and office removals London companies could offer you. This is a great facilitation if you don’t have much time to prepare your belongings. All good removal companies provide this service for their clients. If you decide to take advantage of it, you’ll save not only plenty of time but also you can be sure that your stuff will be protected in the best way. In the end, who can pack better than a professional? Do you need a place where to keep your belongings for a couple of days or weeks? Your removal company could help you also in this case. Even if you have to consider a tight budget and you’re looking for cheap removals London, don’t allocate your belongings among your friends’ homes – just use a proper storage place. It’s not so expensive and it could provide you better security, professional cares and 24 hours access. 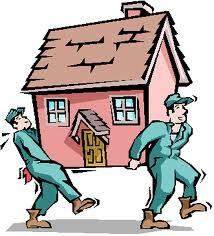 Good removal companies could offer you also other services. Have a word with them and find out what else they may do for you.